On this Wednesday, September 23rd edition of the Alex Jones Show, we cover the Pope's visit to the U.S., particularly how the Border Patrol was ordered to protect Pope Francis instead of our own southern border. Also, the TSA is now checking bags near the White House and if you get close enough to the W.H., you'll still be asked to show an ID. In economic news, central banks may finally be losing control over the markets and financial expert Peter Schiff joins the show to explain why. Additionally, a report has emerged linking Hillary Clinton to an Islamic terrorist movement and a whistleblower reveals intelligence on ISIS is being cast away. Tags: banks, Border, Border Patrol, Borders, Hilary Clinton, Pope, Pope Francis, TSA, TSA agents, White House. 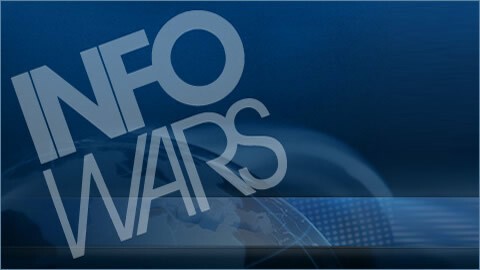 Tuesday: The Infowars Nightly News. Was Clock Kid a Staged Hoax?